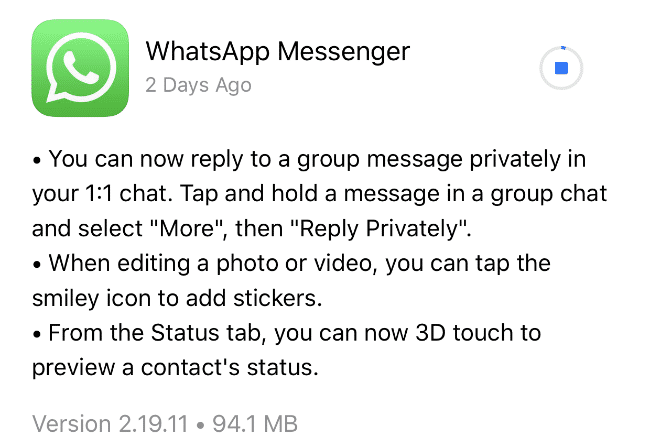 WhatsApp for iOS has been updated to version 2.19.11 and it now sports features like private reply, 3D touch and more. WhatsApp on iOS now updated with Reply Privately feature. It also comes with a 3D touch option to display more info. iOS users of the app will also get to use stickers when editing images and videos. WhatsApp is one of the most popular online messaging apps and the company keeps updating its product to keep users engaged. We previously reported that the company is working on adding new features to the iOS version of the app like Private Reply and 3D touch options, and these features have finally rolled out for iOS users with the version 2.19.11 of the app. The company is now rolling out the stable update that brings the above-mentioned features, along with another option that enables users to add stickers when editing a photo or a video. The private reply feature enables users to reply to someone privately in a group. To do this, one will need to tap and hold a message in group chat and select the ‘Reply Privately’ option. The feature works by highlighting the message that is being replied to but changing to the chat window of the user to whose message is being privately replied to. This option is already available for WhatsApp Android users. Additionally, the new update also adds a new feature to use 3D touch to preview a contact’s status. One can make use of the feature by performing a long press on the chat of a user to get a preview of the conversation with them and their status. There is one more feature that is added to the app, which is the ability to add stickers to photos and videos while editing them. This option was also already available for Android users of the app and one can access it via a smiley icon that shows up while editing media files. 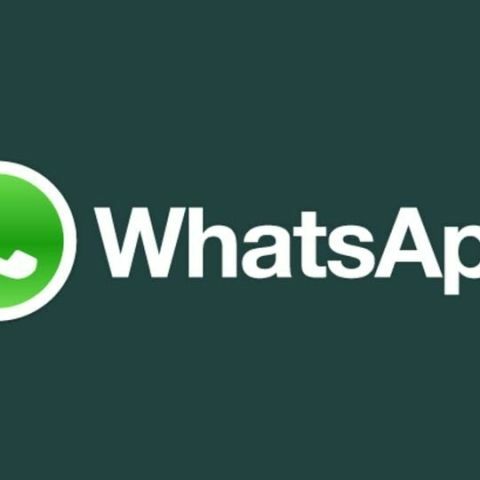 A previous report suggested that WhatsApp is currently testing an Authentication feature, which will reportedly enable an in-app authentication mechanism so that only a valid person can access the app. Additionally, the app might introduce a newly revamped section for sending audio files so that one can send up to 50 audio files at once. The authentication feature is said to be currently under development. However, it apparently won’t be implemented system-wide and if the user has accessed the app once using their fingerprint, they will not need to authenticate again while accessing chats. The user could also get an option to use device credentials in case their fingerprint is unrecognised by the app. Build Machine for Architectural work and 3d rendering. what is One touch Connectivity features in sony?